Meghan Markle’s father Thomas Markle Senior is accusing his daughter of faking her smile in public. He says that Meghan is apparently hiding her fear, stress and the pressure of adjusting to her new life as a member of the British royal family with a pained smile. If that weren’t enough, Thomas also criticized the way Meghan has adapted to royal protocol and even her new wardrobe. He pointed out that Meghan is always covering her knees and went even as far as saying that she looked “outdated.” Yet, many fashion critics from both sides of the pond have actually praised the Duchess of Sussex for her modern, classy looks each and every time she’s stepped out for one of her royal appearances. 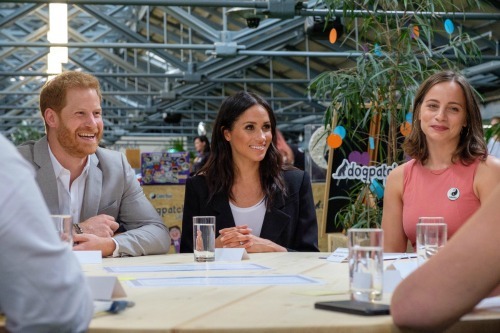 In addition, many royal observers has said that Meghan has been doing a fine job of representing the royal family and have even called her a “breath of fresh air” for the monarchy. But then again, if there is anyone that knows Meghan Markle really well, it’s her own father. Even though they reportedly don’t see each other very often, Meghan supposedly did reach out to Thomas before her wedding to Prince Harry. Thomas Markle Sr. was supposed to attend the wedding but canceled at the very last minute, citing a scheduled heart surgery. Meghan has not made any comments about her father’s absence, nor has she said anything about her controversial family altogether. But at this point, it’s doubtful that she will. She has a new life as the Duchess of Sussex and lives with Prince Harry at Kensington Palace. Thomas Markle Sr. is yet to meet Meghan’s husband Prince Harry or Queen Elizabeth for that matter. In the meantime, don’t forget to check back with CDL for all the latest news and updates on Prince Harry, Meghan Markle and the rest of the royal family right here! Queen Elizabeth Taking Sides With Meghan Markle In Alleged Kate Middleton Feud?